competitions. At the L.A. International Commercial Beer Competition a 100-member panel comprised of BJCP (Beer Judge Certification Program) certified judges, brewmasters and beer industry officials selected the winners from over 1,000 entries from around the world. The 2016 World Beer Cup — touted as “The Olympics of Beer” — featured nearly 6,600 entries from 1,907 breweries from 55 different Countries. 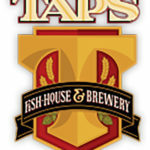 TAPS Fish House & Brewery took home seven medals at the 2016 L.A. International Commercial Beer Competition: four GOLD for Cali Cru’sin (American Belgo-Style), Vienna Style Lager, El Moreno-American Dark Lager and Rubescent-Imperial Red Ale; two SILVER for Velvet Hog (American Porter) and Irish Red and one BRONZE for Schwarzbier. TAPS Fish House & Brewery, famous for its classic styles of European ales and lagers as well as unique brews that reflect the creativity and innovation of the American craft beer scene also received international recognition at the 2016 World Beer Cup with two SILVER (Amend This! and El Moreno) and one BRONZE (Schwarzbier) medal. TAPS Brew Crew, David Huls, Kyle Manns, Jonathan Chiusano and Steven Torres, all seasoned brewmasters concoct their creations at TAPS breweries in Brea and Corona (the beers also are available at TAPS in Irvine). Beachwood BBQ & Brewing, known as downtown Long Beach’s only independent craft brewer, took home the title of Champion Brewpub & Champion Brewmaster in the large brewpub category at the 2016 World Beer Cup — the most prestigious beer competition in the world as well as three medals: GOLD for Mocha Machine in the Coffee Beer category (which took home a bronze medal in 2014), SILVER for Kilgore in the American Stout category and a BRONZE for Udder Love in the Sweet Stout category. Beachwood’s Co-Owner Gabe Gordon, Brewmaster, Co-Owner Julian Shrago, Assistant Brewers Ian McCall and Gene Wagoneer share this win with Beachwood staff and supporters. 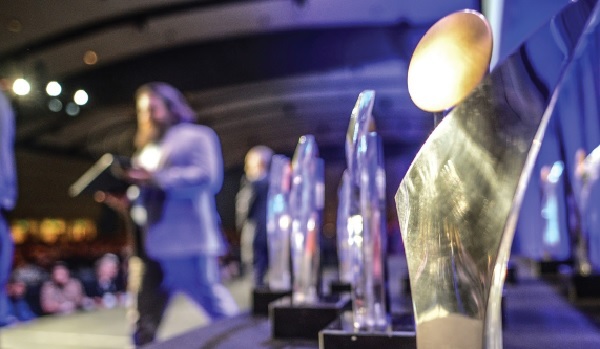 Other Orange County notable winners of the 2016 World Beer Cup include Noble Ale Works, Anaheim; Tustin Brewing Co., Tustin; Bottle Logic Brewing, Anaheim; Bruery Terreux, Placentia; Artifex Brewing Co., San Clemente; and BJ’s Restaurant & Brewery, West Covina. Noteworthy winners of the 2016 L.A. International Commercial Beer Competition are largely represented by Orange, San Diego, Los Angeles and Riverside/San Bernardino Counties. Orange County brought home several impressive medals and include: BJ’s Restaurant & Brewery, Huntington Beach; Four Sons Brewing, Huntington Beach; Left Coast Brewing Co., San Clemente; Oggis Sports Brewhouse, San Clemente; Phantom Ales, Anaheim; Bottle Logic Brewing, Anaheim; Taps Fish House, Brea; Bootleggers Brewery, Fullerton; The Bruery, Placentia; and Tustin Brewing Co., Tustin. San Diego County had big wins in the competition and include: Golden Coast Mead, Oceanside; Legacy Brewing Company, Oceanside; Rip Current Brewing, San Marcos; Lightning Brewery, Poway; Mike Hess Brewing, San Diego; Mission Brewery, San Diego; Monkey Paw Brewing, San Diego; New English Brewing, San Diego; Mother Earth Brew Co. LLC, Vista; South Park Brewing Co., San Diego; 2Kids Brewing Company, San Diego; Border X Brewing, San Diego; Council Brewing Company, San Diego; Green Flash Brewery, San Diego; Intergalactic Beer, San Diego; and Karl Strauss Brewing Company, San Diego. San Bernardino/Riverside Counties also took home some mentionable wins and include: Sons of Liberty Aleworks, Corona; Rok House Brewing Company, Upland; Dale Bros., Upland; Wicks Brewing Co., Riverside; Refuge, Temecula; and Wiens Brewing, Temecula. Los Angeles County took home several noteworthy awards and include: Arts District Brewing, Los Angeles; Eagle Rock Brewery, Los Angeles; Einstok Beer Co., Los Angeles; Golden Road Brewing, Los Angeles; Indie Brewing, Los Angeles; State Brewing Co., Gardena; Sprecher Brewing Co., Glendale; Lucky Luke Brewing, Palmdale; Sanctum Brewing Co., Pomona; Anheuser-Busch, Pomona; Sanctum, Pomona; San Pedro Brewing Company, San Pedro; Smog City Brewing Co., Torrance; The Dudes Brewing Company LLC, Torrance; Absolution Brewing Company, Torrance; BJ’s Restaurant & Brewery, West Covina; Venice Duck Brewery, Venice; Coedo Brewery, Wilmington; Enegren Brewing Company, Moorpark; and Surf Brewery, Ventura.